Just months after earning critical acclaim for their Deepwater Horizon, leading man Mark Wahlberg and director Peter Berg reteam for another harrowing true story. 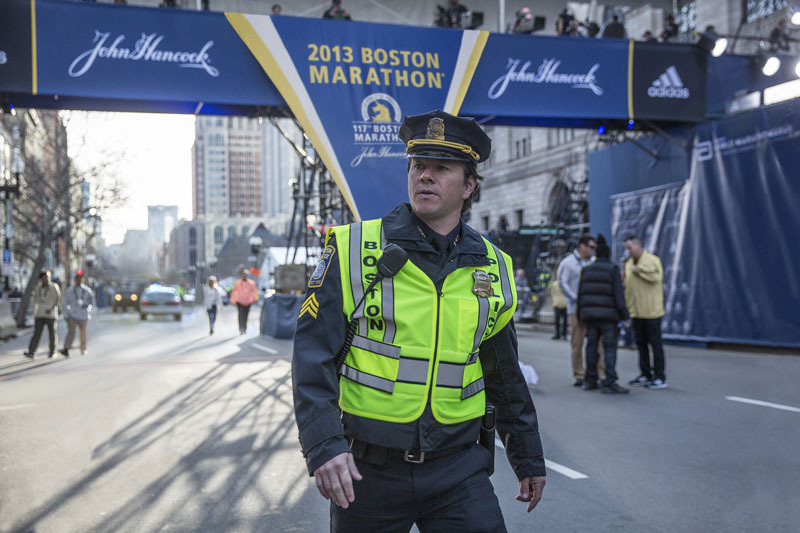 Patriots Day, hitting theaters in New York, Los Angeles and Boston this Wednesday, details the events behind the 2013 Boston Marathon bombing and the unified response that followed and ultimately brought to justice those responsible. ComingSoon.net recently sat down with Berg and Wahlberg alongside Patriots Day cast members Michelle Monaghan, Michael Beach, Themo Melikidze and Jimmy O. Yang as well as real life investigators Sergeant Jeffrey Pugliese and former Boston police Commissioner Ed Davis. In the aftermath of an unspeakable act of terror, Police Sergeant Tommy Saunders (Mark Wahlberg) joins courageous survivors, first responders and investigators in a race against the clock to hunt down the bombers before they strike again. Weaving together the stories of Special Agent Richard DesLauriers (Kevin Bacon), Police Commissioner Ed Davis (John Goodman), Sergeant Jeffrey Pugliese (J.K. Simmons) and nurse Carol Saunders (Michelle Monaghan), Patriots Day chronicles the most sophisticated manhunt in law enforcement history and the showcases the tremendous strength of the people of Boston. The Patriots Day cast also includes Melissa Benoist, Vincent Curatola, Alex Wolff, James Colby, Rachel Brosnahan and Christopher O’Shea. Patriots Day was written by Berg and Matt Cook (Triple 9), Paul Tamasy and Eric Johnson (The Fighter). Scott Stuber, Wahlberg, Hutch Parker, Dylan Clark, Stephen Levinson, Dorothy Aufiero and Michael Radutzky are producing. The film was co-financed by CBS Films and Lionsgate, with the former handling production and marketing and the latter handling distribution. 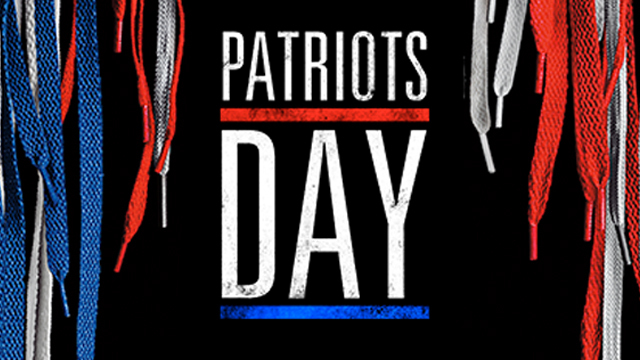 Patriots Day opens nationwide January 13, 2017.